The first flower of the year. There were four of these in the front garden and shortly after I took this picture the blasted dog ate great chunks out of all of them. Hope they give him indigestion. How beautiful. The first blooms are always so special. 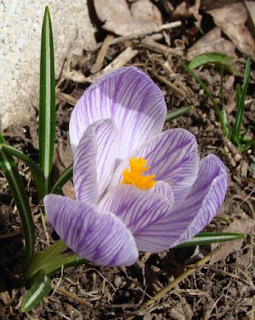 Pretty crocus, too bad that the dog spoiled it.